Breathe Easy Publishing, 9780990588214, 410pp. Breathing Room brings together the #1 Best Selling Kindle Trilogy series, (Muddy Beginnings, Fragile Hope, and Awaited Sunrise) and consolidates the trilogy into one title both in print, and as an Amazon Kindle novel. Breathing Room is the raw, honest, unfiltered saga of a family fighting to survive, stay together and find joy as they struggle for daily survival. The story reveals how several people will respond differently to the same challenges, and the impact those struggles have on their lives. Breathing Room also reminds us that, even in the midst of tragedy, the funnier side of family life is still there in the form of sibling rivalries, roughhousing, practical jokes and young crushes. These are the events that make up the crazy family stories that we pass down to the next generation. 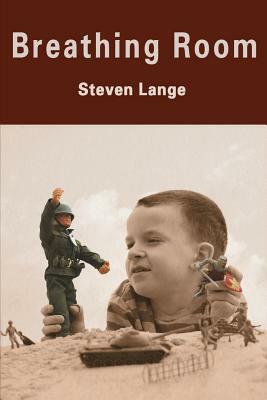 Written by #1 Best Selling author Steven Lange, a third generation New Jersey resident, Breathing Room unfolds across many New Jersey towns. This novel is a no-holds-barred view of each family member's individual fight to overcome the circumstances around them, and the wrestling within their own hearts. You will become part of this 1960's family as they face great adversities that just keep coming, and as each family member searches for THEIR idea of breathing room. Breathing Room discards all pretense, and explores life turned upside down, including those conversations going on within our own heads that we are thankful that the rest of the world does not hear. Breathing Room reveals the challenges of life lived without filters, and is a based upon the very real trials in the author's own life. "Breathing Room" is that place of rest that all of us look for. Here, we are sheltered from the pains of our past and fears of an uncertain future. Breathing room allows us the freedom to discover our own likes and dislikes while unchained from the strains of daily survival. Too often the demands of financial, medical, emotional or relational struggles prevent us from having the time and peace of mind to enjoy life's basic pleasures. Breathing Room is a family's journey on the way to living instead of just surviving. Within the book's pages is the message that there IS hope for a new start, joy CAN be found in the most difficult of times, and we are all a lot tougher than we may think we are. This tribute to the American family will inspire men and women of every age.